Spare bedroom: Having an overnight guest can sometimes be less stressful if they have their own space to enjoy. With the addition of a detached garage, your guests will be able to feel comfortable knowing they can close enjoy alone time at the end of the night. Extra office space: All of the rooms in your house may be occupied by beds and dressers. A detached garage can serve as the extra room you always wanted to make into an office. Just add a desk and a chair, and you are off to a great start. Storage unit: If you do not have a basement, it may be beneficial to consider allowing your garage to serve as a storage unit for items that you do not need all year round. Entertainment space: If you often have friends and family over for different events, a detached garage is an alternative area to host parties for your loved ones. Add in a space heater or install electricity for heating and air conditioning purposes to accommodate any type of weather condition. Customizable: One of the advantages of a detached garage is that you can make it your own. With all of the open space, it gives you the ability to get creative when it comes time to designing the layout. Did you know we offer financing? 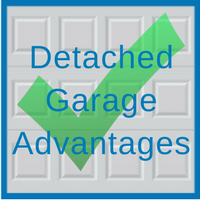 Visit our FAQ page for more information or contact our garage experts at 630-852-8485. 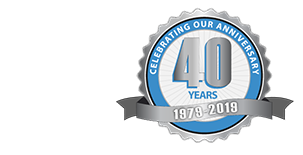 Blue Sky Builders is here for all of your garage planning needs.